1. Customized map. I have a hand-drawn fictional map of Caribbean islands printed on paper (11" x 14" map). You supply a list of names, people, pets, events, places, etc. and I add these as features to the map. These maps can usually be completed within a couple of weeks, depending on other work. 2. Commissioned map. These are priced based on the level of complexity and can be on board, paper or wood (most people select the board - as it looks like paper but is more stable and easier to hang). These also have aspects from the life, but can be more names than option 1. Prices can range from $350 - $6000, where the high end is really detailed city maps that can take months to draw and I often have a few lined up to complete first. The price does reflect the size of the map, but more so the level of detail to be included and the process will involve several discussions and homework. Commissioned maps are very unique and involve consultation with the client to be able to include significant aspects, places and events of their life into a single map. Some features are obvious (i.e. the main town name, but other are often hidden within the shapes in the map. Clients often provide a very long list of items for possible inclusion! 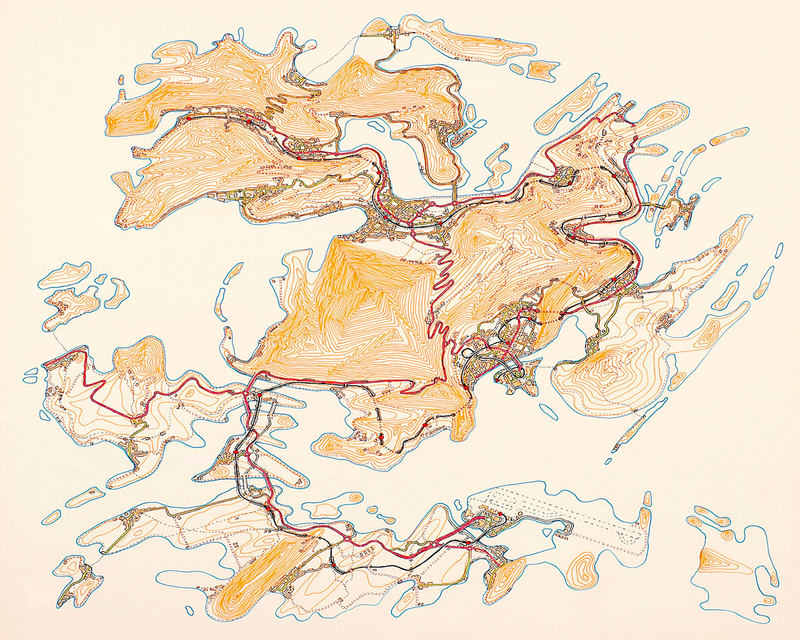 Maps can be created on board, paper or wood.